Decorative Life: From about 7-25 days. Postharvest quality is not affected by the nitrate to ammonium nitrogen ratio used in fertilization practices during production. 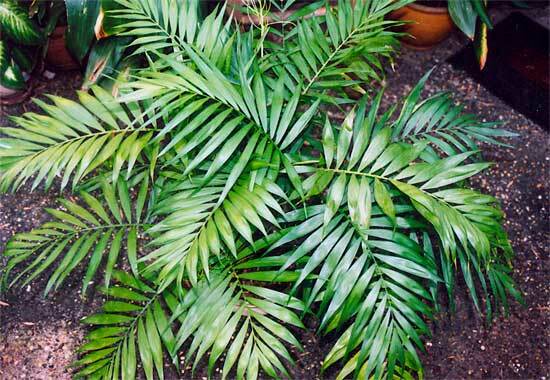 Leaves are 10 inches long with fronds 1 inch wide in a pinnate arrangement. Using C. erumpens, Fujino et al. (1981) showed that vaselife was increased from about 7 to 28 days in water simply by recutting the stems.